Allows you to get villager loot by killing them! 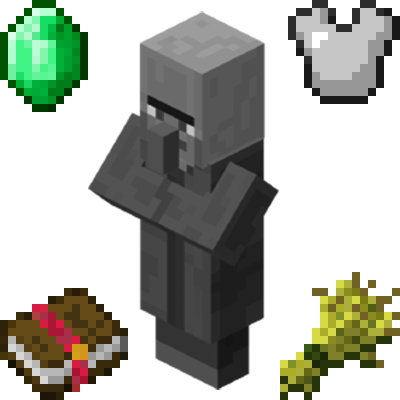 This mod will slightly tweak villagers so that they sometimes drop a random trade item when killed. When killed by a player, there is a 5% chance that they will drop a trade item. The chance of getting a loot drop goes up by 1.5% for every level of looting used. This drop will only happen if the villager is killed by a player. This drop can not be farmed by most mob grinder/spike blocks. The base % chance of a villager dropping loot. The additional % chance bonus that one level of looting adds. Whether or not fake players like mob grinders or spikes are excluded. Good. Time to make a village into a Concentration camp. A sacrifice shall be made every week. The mod places config in fixed folder (.minecraft/config). Is it a bug? And Darkhax predicted the future. @Darkhax mind telling me when the caving update is coming out? Remember, pillage BEFORE you burn.